10 Unforgettable Moments in South Australia. There are some trips that make you want to give the world a big hug. South Australia was that trip for me. On my long journey back to India two days ago, I couldn’t stop feeling overwhelmed by the pristine beauty of the things I had experienced, the warmth of the people I had met, the softness of the sands I had walked on, and the love that went into every glass of wine I had tasted. 1. 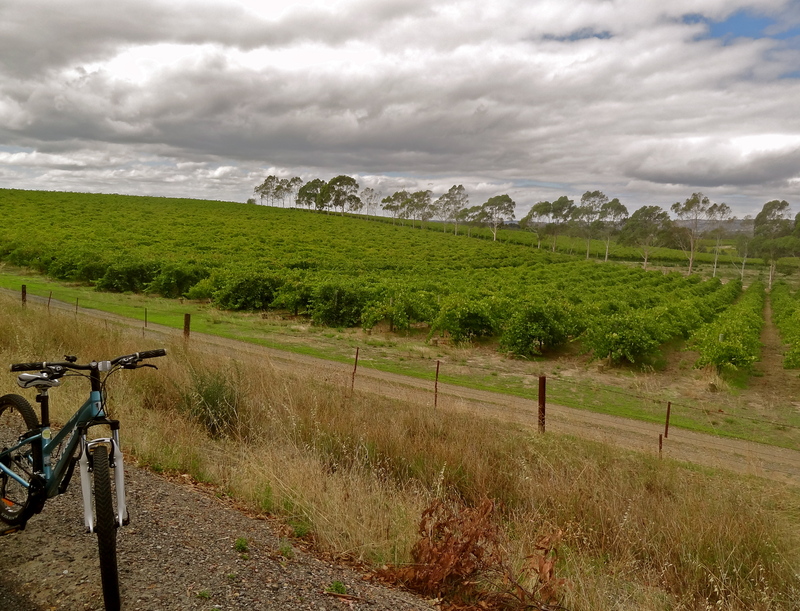 Winery-hopping on a bicycle in Mclaren Vale. In the verdant wine country of Mclaren Vale, we pedaled our way along the trail of an old train track, amid vineyards that stretched into the horizon. The aroma of fresh grapes lured us into some of the oldest family-run wineries in these parts, for a taste of the finest Shiraz and Moscato wines. That warm afternoon felt like poetry to me. Cycling along endless stretches of vineyards. 2. Spotting kangaroos, koalas, echidnas, penguins, seals in the wild! I never imagined that one day, I would be tip-toeing my way along the dry bush land of Kangaroo Island, observing koalas asleep on eucalyptus trees, kangaroos hopping along on a cold day, the smallest penguins in the world swimming to shore after a day at sea, Australian sea lions and New Zealand fur seals sunbathing on the beach, and the rare echidna at the start of its intriguing mating cycle. But I did. Life is full of surprises, especially in South Australia. 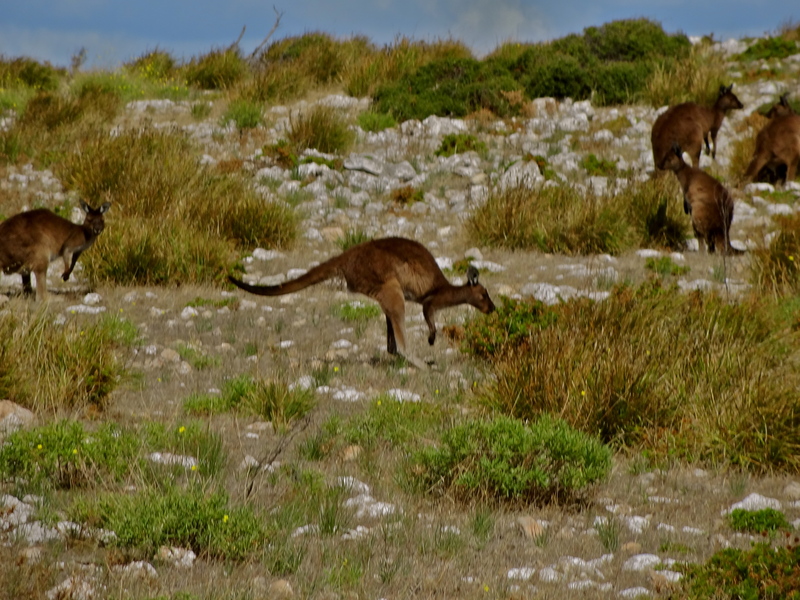 Observing kangaroos in the wild bush land. 3. 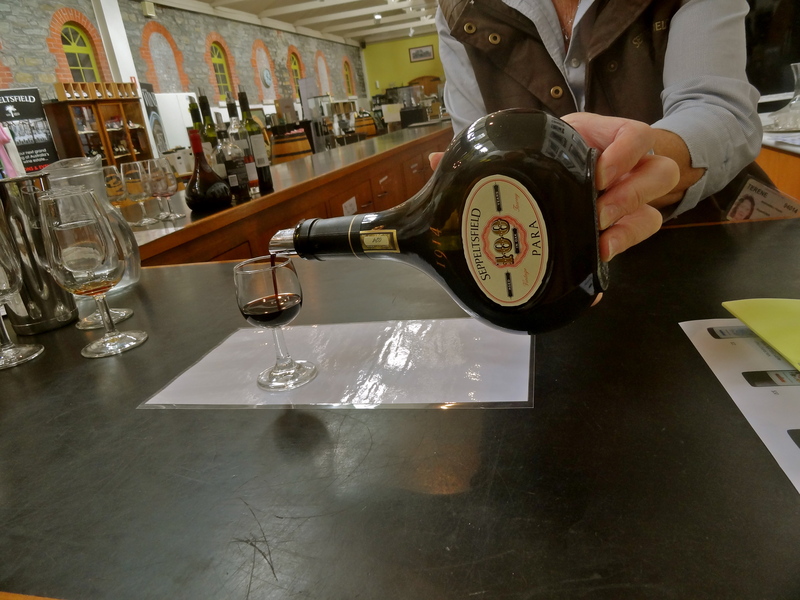 Sampling a 100-year-old port wine. In the famous Seppetsfield winery of Barossa Valley, every year since 1878, a port wine has been barreled, to be released only after a hundred years! I probably won’t be alive to taste the wine that was barreled in 1988, my birth year, but I was lucky enough to taste this year’s wine release, dating back a hundred years to 1914. The flavors were overpowering at first, but the taste gradually grew on me. I would’ve gotten you a bottle, but it costs 400$! Pouring a 100-year-old Seppeltsfield wine! 4. Dipping my feet in the Antarctic Ocean. I have witnessed the mesmerizing blues of the Indian Ocean in Mauritus and the Seychelles. But seeing it again on Kangaroo Island’s southern coast, where it merges with the Antarctic Ocean, was something I still wasn’t ready for. We walked along wobbly trails cutting across ancient boulders, to find moments like these – the gentle blue ocean caressing the velvet white sands, with not another soul in sight. 5. Cycling along River Torrens in Adelaide. There are few places in the world where you can find the tranquility of forests, rivers and birds, right in the middle of a bustling city. Adelaide is one of them. We rented free bicycles from Backpackers OZ, and spent a day cycling along the River Torrens, winding along forests, quaint suburban neighborhoods, and city’s beaches. 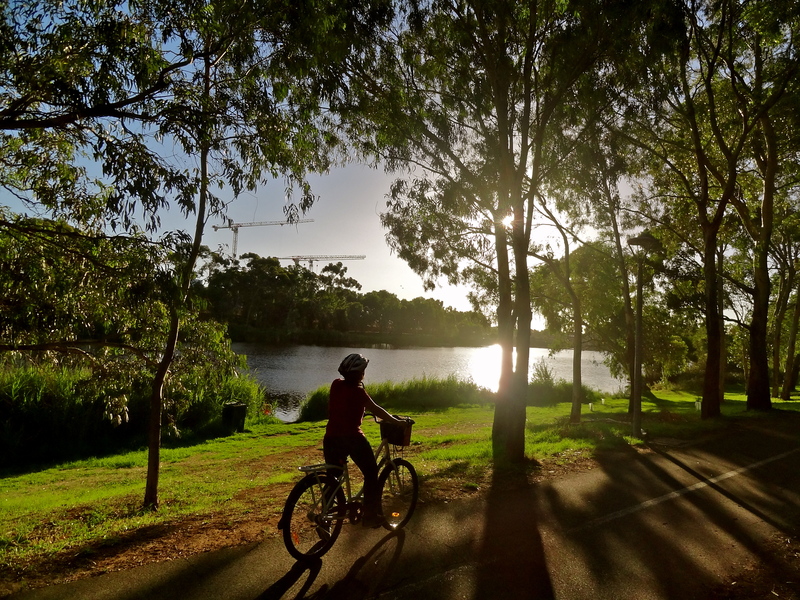 Cycling along the River Torrens at sunset. 6. Sampling farm-to-table produce in Adelaide Hills. I actively try to seek organic food alternatives wherever I go, but South Australia needed no such effort. Neighborhood cafes in Adelaide and on the countryside have a conscious farm-to-table movement, serving delicious seasonal produce fresh from their backyard. My favorite was a local produce plate at the Seasonal Garden Cafe in the German village of Hahndorf (Adelaide Hills), which came with homemade hummus and tzatziki dips, cheeses, olives, seasonal sauteed veggies, and home-baked breads. Yum. Garden-to-plate food at Seasonal Garden Cafe in Hahndorf. 7. Road tripping along the Fleurieu Peninsula. 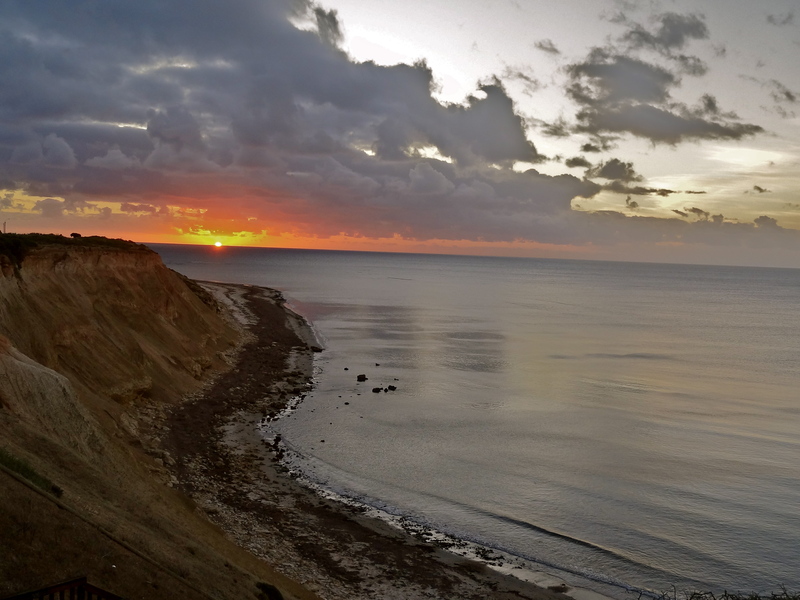 Though just an hour’s drive from Adelaide, Fleurieu Peninsula is a world in itself. We spent hours driving along vineyards in the backdrop of gentle hills, winding our way along pristine beaches on the coast (some of which are drive-in beaches), observing the wildlife and birds, and soaking in the laid-back country charm that is hard to put in words. 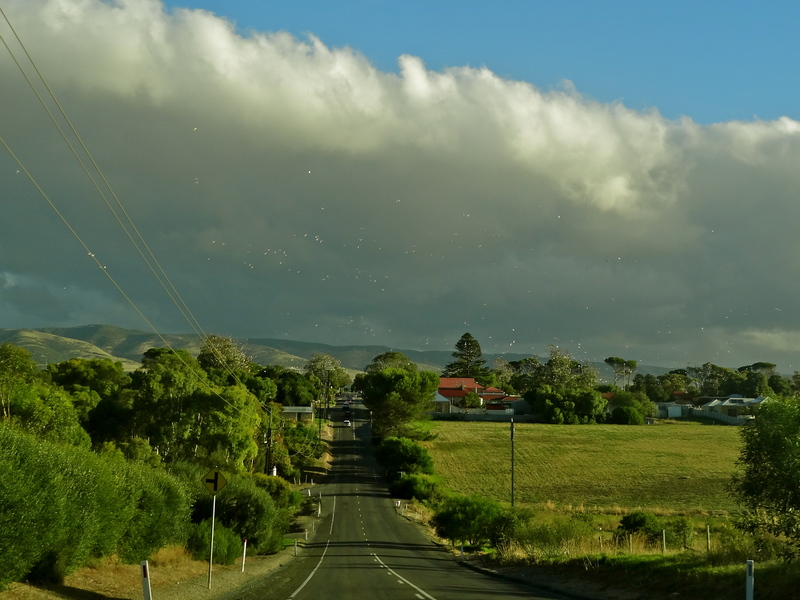 Driving along the Fleurieu Peninsula. Those white dots are a swarm of birds! 8. Watching “Limbo” at the Adelaide Fringe Festival. 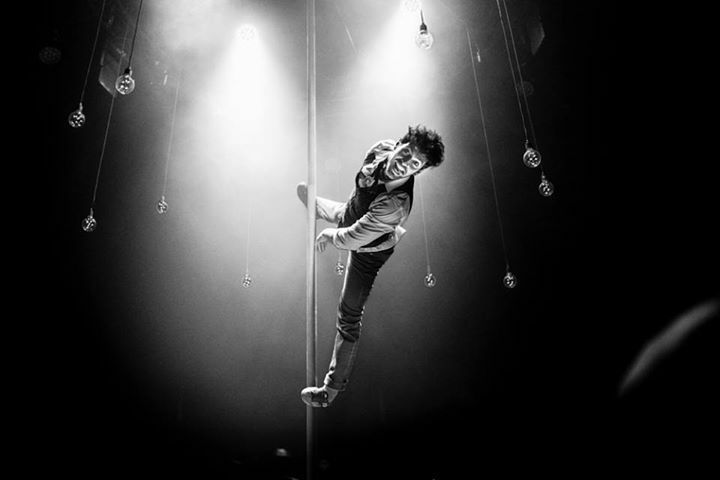 I can’t remember the last time I went to a circus, but the most popular act at the Adelaide Fringe Festival called Limbo, left me speechless. This was one hour of acrobats, fire-eaters, tap dancers and beat boxers so incredible, you wondered if they were really up there on stage or if you were in limbo, imagining it all. The festival itself, in the last week of March, was the life of Adelaide while I was around, with lots of comedy acts, music performances, street food carts and such. 9. 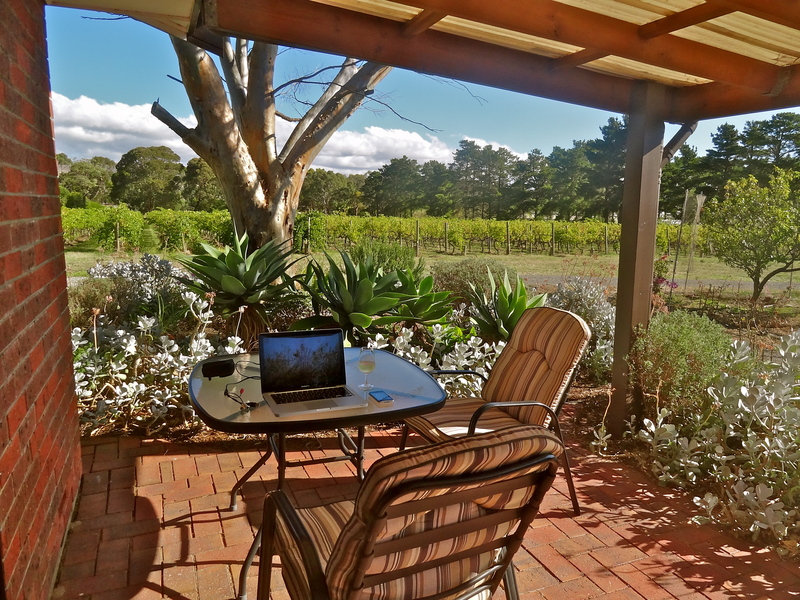 Writing on a vineyard in Willunga. February has been an incredible month for me as a freelancer, and I owe much of my inspiration to the kind of places I’ve been setting up my ‘outdoor office’ at. I spent the second leg of my trip at Linger Longer vineyard on the Fleurieu Peninsula, near the little town of Willunga, and this was our own private paradise! My outdoor office at Linger Longer vineyard! 10. 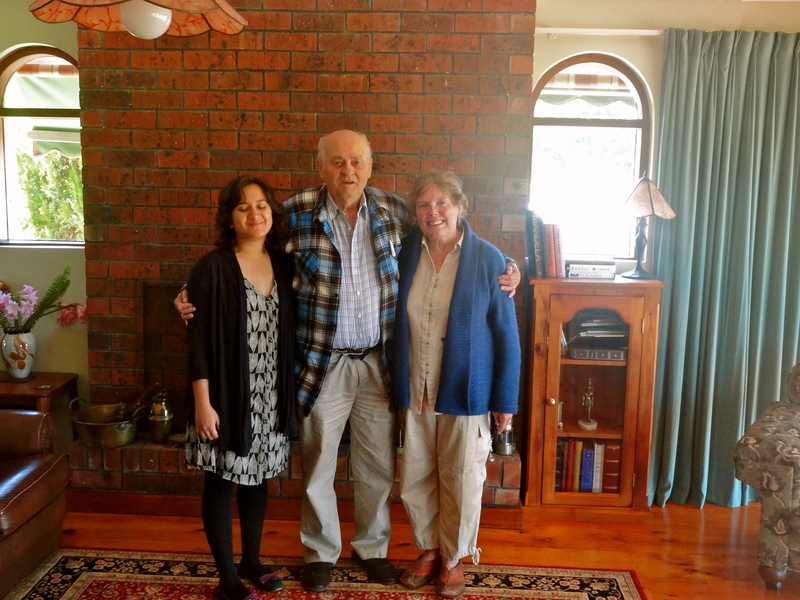 Meeting a Polish man who escaped to India during World War II. On our last day at Linger Longer vineyard, our hosts invited us for a glass of wine. They were just back from a 3 week trip to India, in search of Karol’s past. Turns out that Karol escaped Poland and Siberia during World War II, and as destiny would have it, found his way to Gujarat with a 1000 other Polish kids. The then Maharaja of Jamnagar, who was also the Indian ambassador to the UN, adopted, sheltered and educated these kids against all odds, until the world was at peace again. What an incredible story! With Karol and Rosemary, our hosts at Linger Longer vineyard. What would you most like to do on your own trip to South Australia? Are you packing your bags yet? Join me on Facebook, Twitter and Instagram for more travel inspiration from around the world! Nicely written. As like earlier posts, it transports you to the place. Want to go there at the first instance. Thanks. Your posts always put a smile on my face and a yearning in my heart to go there..
I’m so happy to hear that, Bhavya! You studied in SA?! Lucky you. Was it in Adelaide? That sounds like such a wonderful experience. I’m going to be spending 8 weeks working in Australia this fall, but unfortunately I don’t think I’ll have time to get to South Australia. I’m determined to get there one day, though! I hope you make it to SA soon enough. I was in Melbourne a long time back, and loved it too. Where will you spend your 8 weeks? Nice! I’ll be in Melbourne for 4 weeks and then Penrith (an hour outside Sydney) for 4. Inspired by your blog! Lovely article, felt like I was on that journey with you. Look forward to reading your blog regularly now. Glad to hear that Chaitali, happy to have your virtual company! 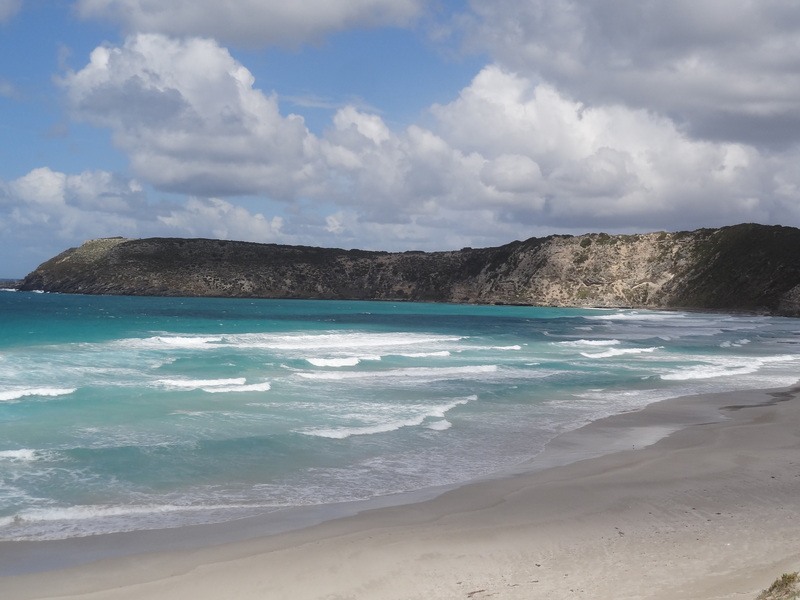 South Australia looks totally awesome – I enjoyed reading that post Shivya. Well written with wonderful photographs! I like all your blogs and the way you put your thoughts into words…Simple yet compelling! I love you for what you are doing for your soul, your wander lust.. !! Just a suggestion, could you also mention an estimated budget for your trip? I know you avoid traveling with a fixed schedule but some kind of a ballpark figure for say 6N/7D (just an example) travel would be really helpful. If not that then maybe, how expensive a particular city is or expense traps to look out for might help. What say? Previous PostMy First Impressions of Australia. Next PostTravel Contest: Win a Trip to New York!